I am a little stunned to arrive in Beijing; it is quite the largest city I have been in since I left home. I am not sure what I was expecting but my initial reaction is that it seems like quite a lot of other places. The shiny financial district is here, the modern stadia are here and the ubiquitous luxury retail brands are here too – its a nice city, but it could be anywhere. The short journey to my hotel changes the perception quite radically though; away from the centre the city seems to be divided up into distinct neighbourhoods with wide streets, small shops and street vendors and open spaces where people exercise and play draughts – there is much more a sense of community here than I have felt in a lot of other cities. The Red Wall Hotel lives up to its name; my room has a panoramic window which looks directly out onto a red brick wall – two feet from the window and extending up and down as far as I can see. Even with all the lights on in the middle of the day I still need a torch to look in my luggage! I go out in search of one of the Hutong market which has been recommended to me by other travellers. The market and the surrounding streets are jammed shoulder to shoulder. 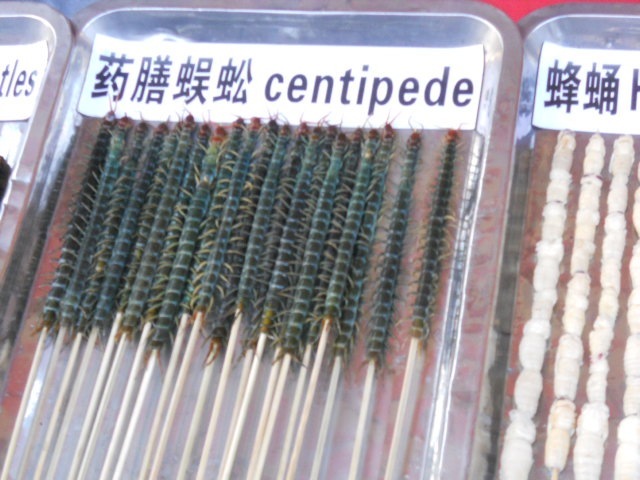 Whilst there are some tourist trap stalls, the principal preoccupation here seems to be food – this is a place where virtually anything you could possibly want can be found, killed and dipped in hot oil before your very eyes. 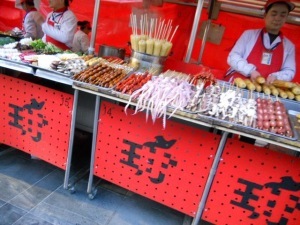 The scope of the stalls is astonishing; in the space of half an hour I am offered squid, cuttlefish, chicken stomachs, birds feet, sharks fins, snake meat, ostrich, sea horses and small baby birds (which I suspect are sparrows) on skewers – I don’t think we’re in Pret-a-manger anymore Toto! And then, of course, there are the bugs. 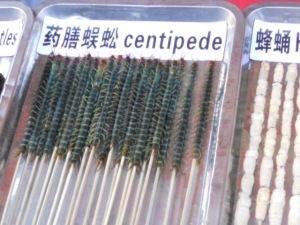 Centipedes, silk worm larvae, honey bees and… “try a scorpion sir?”. I examine the merchandise; they look like oversized head lice but, hey why not? 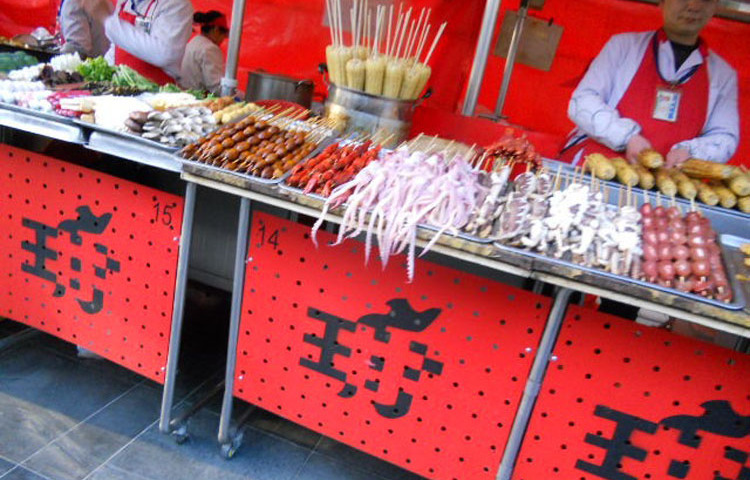 Three scorpions on a stick costs me about two quid and, I have to say, they are really quite tasty. The food reminds me that I have eaten little in the last 36 hours except bread and marmite and this triggers a feeding frenzy – in quick succession I consume chilli noodles; fresh vegetable dumplings and, improbably, gloriously – fried ice cream! I need a slow walk back to the hotel. On the way back I check out some more of the local streets – they all feel safe and family oriented and the initial observation about there being a strong sense of community here seems to hold good wherever I go (admittedly I have probably only covered about 0.01% of the city) – In a lot of ways Beijing does seem a lot like other cities but just a bit, well, nicer. My enchantment with Beijing is a little shaken when I return to the hotel to discover my room has been broken into. Fortunately one of my better investments was a steel cable and padlock with which I have secured my luggage to the wall so nothing has been taken. However on the bright side it does mean they will have to move me to another room – perhaps one with a view. 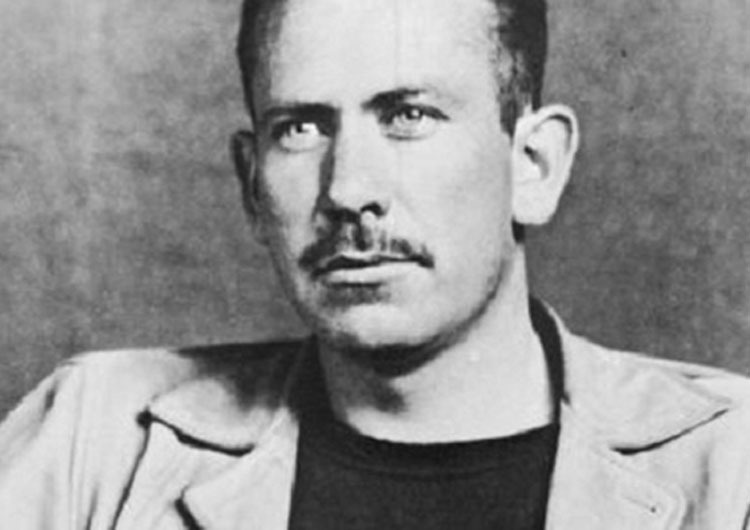 The bell boy arrives and takes me to my new room where I eagerly throw back the curtains to reveal… a red brick wall two feet from the window. Ho hum!